TÝR has been honored in their homeland with three awards at this year’s Faroese Music Awards festivities. The band won in the categories of Band Of The Year 2013, Album Of The Year 2013, and Album Cover Of The Year 2013! 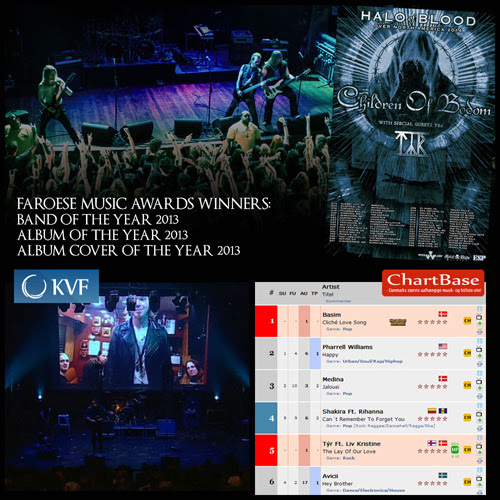 Fans can learn more about the awards HERE and watch a national news broadcast where KVF TV mentions TÝR as one of the two big winners at these year’s awards. The video is at kfv.fo and the mention is around the 16:50 mark. In other news, TÝR’s latest video, The Lay Of Our Love, is currently number five on the Chart Base Top 100 in Denmark! Voting for the video for the week continues through Sunday, so check out the chart and vote at chartbase.dk. The song features a vocal duet with Leaves’ Eyes vocalist Liv Kristine. The video was produced by Stanimir Lukic, directed by Ivan Colic, and can be seen now at THIS LOCATION. TÝR are currently on tour with Children Of Bodom for their Halo Of Blood Over North America trek. The tour, which commenced on February 14th in Quebec City, wraps up on March 28th and 29th with back-to-back shows at Irving Plaza in New York City. The band’s latest record, Valkyrja, debuted on charts worldwide upon release in September of 2013. In the US, the album reached #15 on the Billboard Heatseeker’s Chart, #22 on Current Hard Music, #39 on Overall Hard Music, and #70 on the Independent albums chart! Additionally, Valkyrja reached #4 on the iTunes Metal Chart on the day of its release. In Canada, the record reached #26 on the Metal Chart. On iTunes Canada, the record peaked at #2 on the Metal Chart, #9 on the Rock Chart, and #73 on the top 200 Albums Chart! 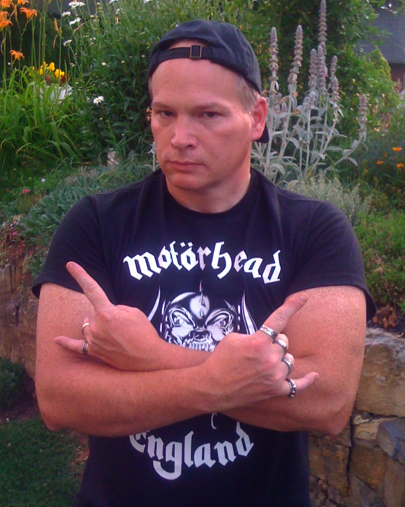 This entry was posted on March 20, 2014 at 3:14 pm and is filed under Heavy Metal, Metal, metal bands, metal music, Music, news, rock music, rock music news, world news with tags faroese music awards, Metal, metal albums 2013, Metal News, metal odyssey, TÝR. You can follow any responses to this entry through the RSS 2.0 feed. You can leave a response, or trackback from your own site.